10 minutes to create a beat from scratch? No problem for Nite Jewel. Nite Jewel is one of those rare artists whose name perfectly sums up their sound. Liquid Cool, the latest album from the Los Angeles musician, real name Ramona Gonzalez, features soft vocals glistening in the dark twilight of some seriously synth-heavy production. 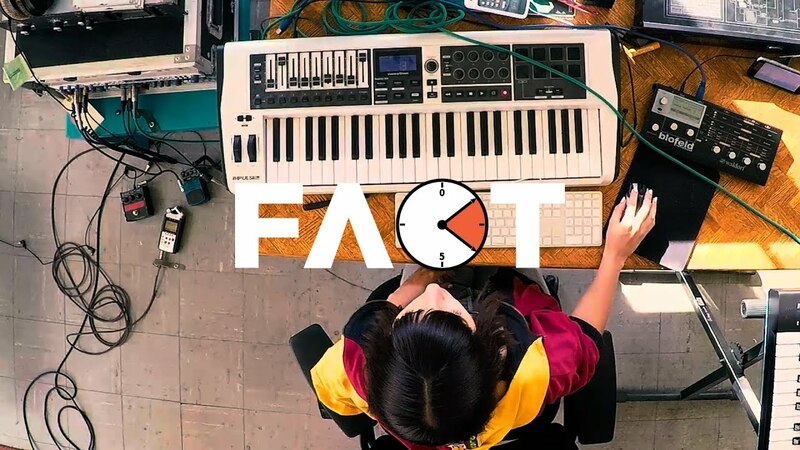 FACT got a glimpse at the process behind this compelling sound recently when we stopped by her LA studio to film Gonzalez – the niece of football commentator Clive Tyldesley, fun fact for you there – taking part in our Against The Clock challenge. Check out how Nite Jewel got on above, and be sure to catch her on her upcoming European tour this autumn with a headline show at London’s Jazz Cafe on September 17.